If the bride-to-be doesn’t like big parties or a lot of fuss, a spa party is the perfect setting for her shower. These parties are generally more low-key and easier to plan than traditional showers. Now that's the type of Spa that we're talking about! YEAH! You can keep the spa party relatively simple or plan one that includes more pampering for the bride-to-be and all the guests. Once you decide on a date and book the spa, you can start working on the rest of the planning. Ideally, you should use invitations that reflect the theme of the shower, so find or create ones that feature common spa images. Start the day off in style by renting a limousine to bring the guest of honor and the bridal party to the spa. You can go with a traditional, classic limo, or splurge on one that offers a few extra perks. These might include music, neon lights, champagne, or more unusual features like a fish tank. Make sure you schedule the limo to pick everyone up early enough to get to the spa on time. Plan on having everyone meet in one location for the pickup. Choose snacks or a light meal that you know the bride-to-be loves to eat. You can do something simple such as a vegetable tray or have something a bit more filling like a grilled chicken salad or sandwiches made with lean cold cuts. Avoid foods that are too heavy, like pastas or fried foods. If the guest of honor has a sweet tooth, include a dessert for her to enjoy. Try to keep this light too by serving an assortment of small cupcakes or cookies or small bowls of ice cream instead of an entire cake. Instead of doing traditional favors, prepare spa-themed ones. You can give the guests homemade spa masks or kits that they can use to make their own. Other favor ideas include manicure and pedicure kits and gel eye masks. If you want something more luxurious, buy slippers or bathrobes for everyone to wear at the spa and bring home. At the very least, buy the bride a white robe and slippers to make her feel more comfortable throughout the day. Don’t plan too much as far as activities go. 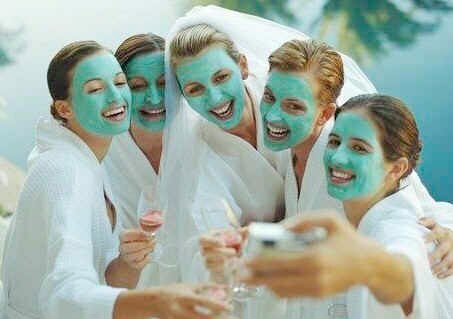 The bride-to-be’s spa party should be a relaxing experience. 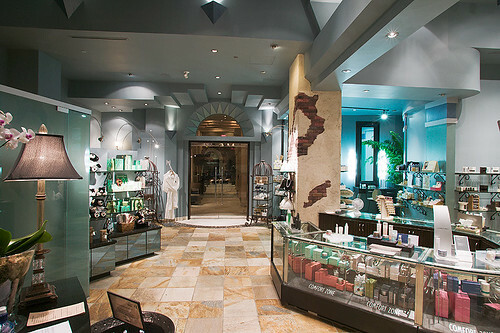 Set up spa treatments that you’re sure she’ll enjoy such as massages, manicures, and facials. If she likes yoga, see if the spa offers classes that everyone can participate in before the spa treatments begin. You can also include a few simple bridal shower games to keep the guests entertained in between treatments. Have some bath and beauty items available to give away as prizes. On the day of the party, don’t forget to relax and enjoy the pampering yourself. The spa employees will help make sure that the bride-to-be and everyone else is attended to, so you can take it easy and savor the day. Have you ever considered a Spa Party? Groom or Bride, can you think of other Spa activities? What’s one thing you think might be even better than a Spa Party? And thanks for reading too – Let me know your thoughts in the comments. Jill is a freelance blogger who writes wedding tips. You can hire a limo at for your wedding or bridal shower to give it a touch of style. Jill – who has written 2 posts on GeekandJock. I like that you added in the transportation tips, as that is one aspect that is often overlooked for spa parties; a limo with a fish tank would definitely be memorable! Thanks for sharing these awesome suggestions. Seems like something a bride would really enjoy, and a limo is a classy touch. Haven’t been in one, but that sounds great! Thanks for sharing. Some pampering is always a must! A spa party sounds like so much fun! These are some really great tips and ideas for a wonderful little get together! Thanks so much for sharing! Wow this sounds like the best spa party imaginable! A limo service is a nice touch for sure. Thanks for the ideas! Going to the spa is such a therapeutic experience and I can’t wait to host a spa party for my friend who is getting married before the year ends! Thanks for the share! I’m a certified spa-aholic and it’s such a great venue to bond with my girlfriends and chat the day away. This would also be great for a no-occasion gathering that we usually hold once a month since we’re all married now :) Thanks! I write a blog on Indian weddings and Indian brides. Spas are becoming quite popular in India and this is certainly going to be my next topic for blogging! 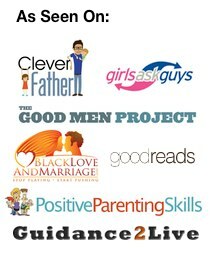 Thanks for the share-my readers are bound to love this topic. Well, a spa party sounds so much fun. I have never been to a spa :(, but I loved to be pampered like every other girl :p. I will ask my friends to arrange one when I will get married :p.
Spas are always exciting and fills the heart with fun!! The post described a detailed guide on how to plan a spa party. Thanks for providing all these valuable information in such a unique and enticing manner. Now tell us … exactly what do you find exciting and fun at a Spa? As I said before, I’m intrigued since I’ve never been so getting your own first-person point of view might also enlighten other guys and gals too. I have never joined a spa party before, but I am sure that it would be very nice. Thanks for stopping by, erwin and the comment.